Our studio is located at 123 E. Gay in the City Centre Office Suites building, one block west of the Warrensburg Post Office. Our Downtown Campus opened May 1, 2017, and is located at 123 E. Gay St., Suite A-2. This studio features group classes in music and theatre, Home School Band and Choir, and host special TMSOW music events such as recitals, receptions, and large group rehearsals. All guitar lessons and classes are located here! This facility is the home of our 50-seat black box theatre! It also houses our theatre program, elite performing ensembles, piano, organ, voice, and guitar lessons. This facility is equipped with a grand piano and an Allen digital organ. 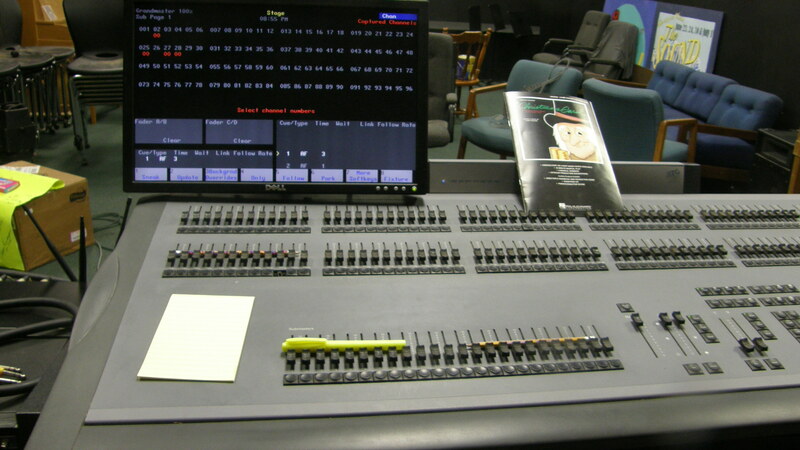 The black box is equipped with an ETC Expression 72/144 DMX light dimmer console, 12 ellipsoidal spotlights, 4 LED PAR 80 spots, and a 24-channel sound board with 16 wireless body mics. 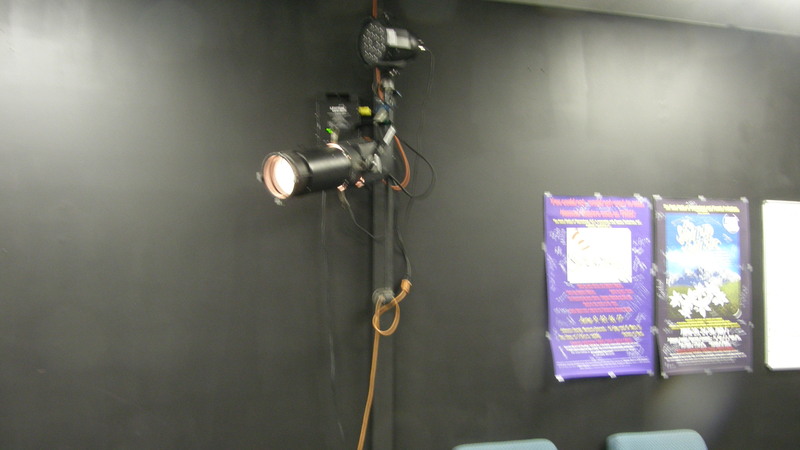 Our sound and lighting equipment are available for rental to community organizations. For more information or to request a rental quote, please call us at 660.362.1575. Some of our lighting equipment at work. We also host catered birthday parties here and the space is available to host your party, meeting, or other special event. Our theatre is also available for use by other organizations! Need a space for your meeting, celebration, or other event? We will work with you to make your event great! 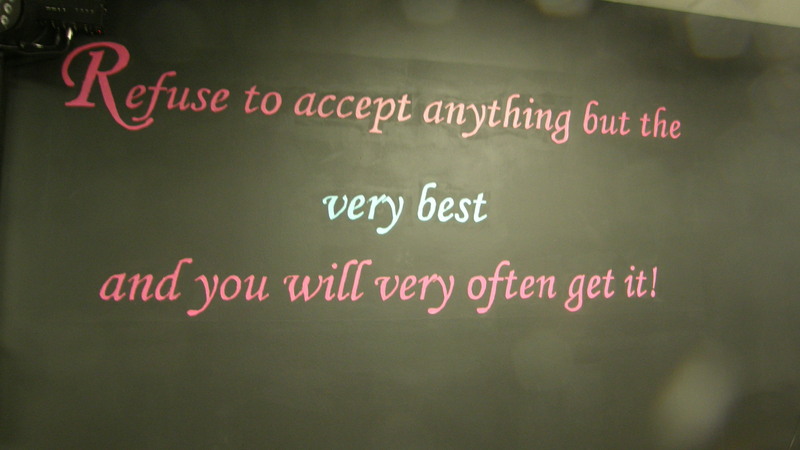 We open Monday through Thursday at 1:30 p.m. with lessons and classes throughout the afternoon and evening hours. 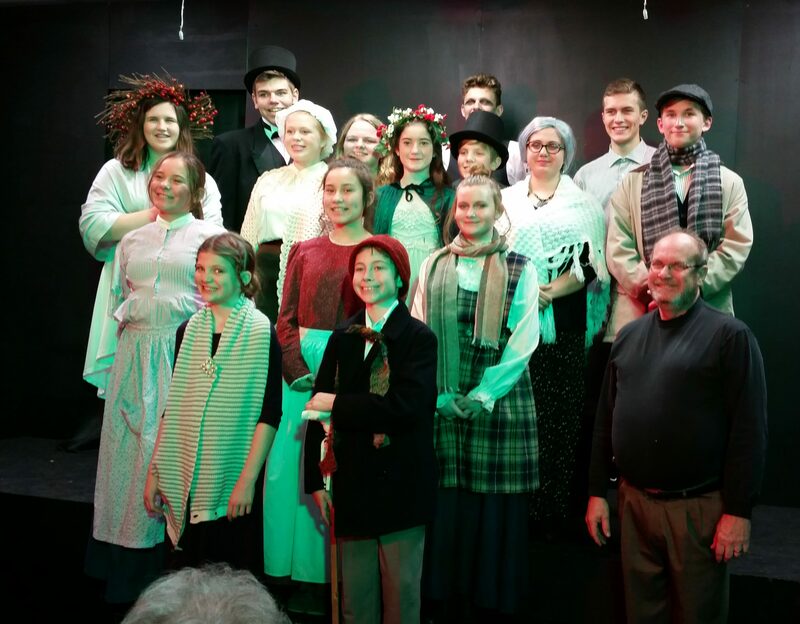 Our Broadway After School and Theatre Kidz classes provide the opportunity for students to explore the world of musical theatre through preparation and performance of mini-musicals twice per semester. Two instructors lead the class each session. 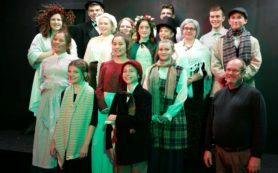 Because of the nature of producing a final performance, students are expected to attend the entire semester in order to be a part of the final productions and to be eligible for participation in our summer theatre productions. Theatre classes include instruction in all aspects of musical theatre performance including singing and choreographed movement. Students accepted into this track are assigned to their own “rock band” made up of a guitarist, vocalist, and drummer and will work together to learn pop, rock, and contemporary music with an eye on performing on one of our showcase recital programs. One class per week provides up to 20 students the opportunity to further develop their string instrument skills. Students will work as an ensemble to learn intermediate and advanced skills while preparing musical selections in a performance-based ensemble. Concerts are presented twice yearly. We offer lessons at various satellite sites based upon a willing site sponsor such as a church, school, or other entity. We do not offer in-home instruction of students for lessons, however.